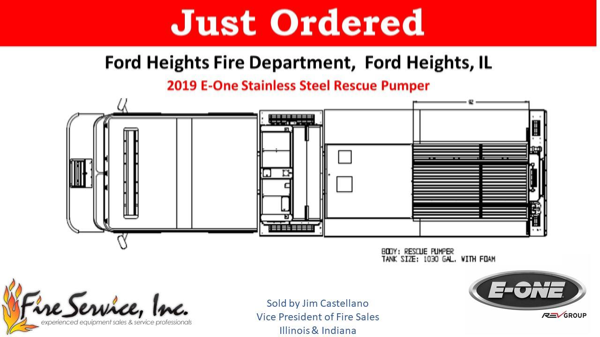 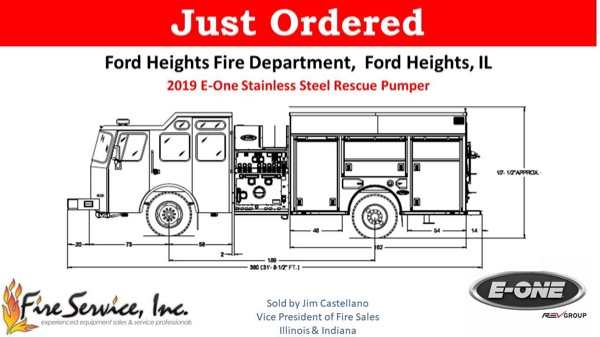 Congratulations to the Ford Heights Fire Department in Ford Heights, IL on their purchase of an E-ONE Stainless Steel Rescue Pumper. 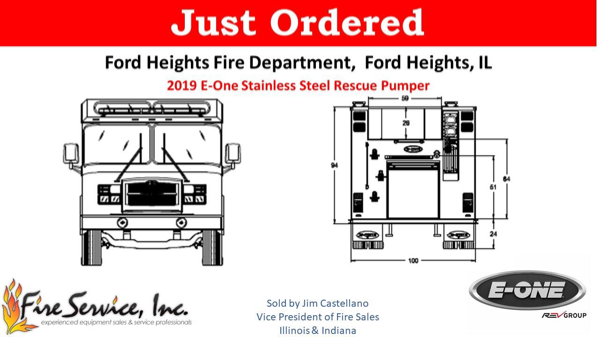 This is Ford Heights first new E-ONE purchase. 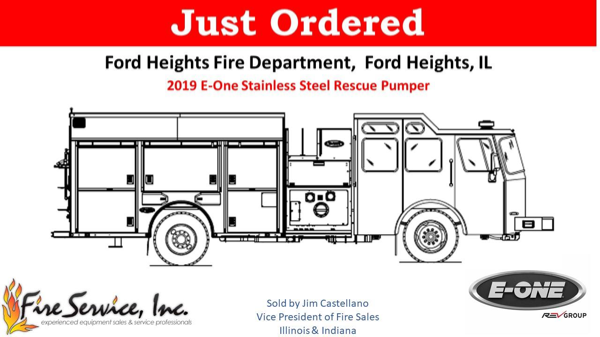 We look forward to partnering with the FHFD, and serving the citizens of their community. 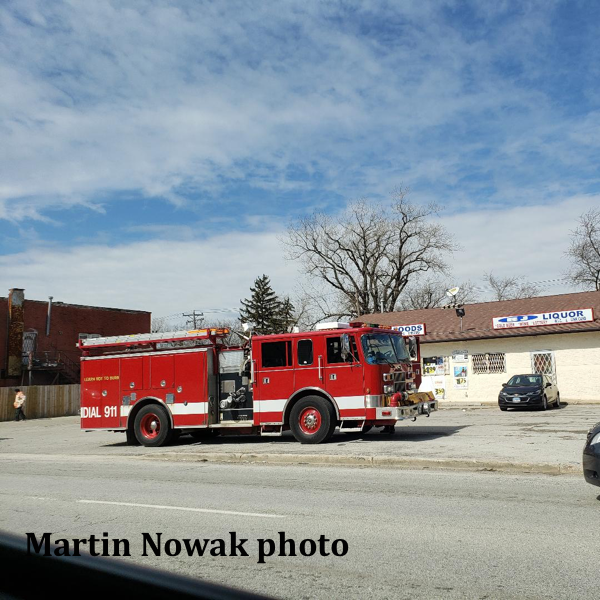 Seen on 3/11/2019, Ford Heights Fire Engine that was donated by Niles out on a call with Buds EMS.